This would be the 12th Weekly Edit and another exciting week in my world.. (insert dramatic pause) This week I learnt I had an acquired squint in one of my eyes. Weird, huh? As much as it bothers me and how it may affect my future vision, it just gives me an excuse to buy new glasses. Bright side, right? 01. I ate the nicest dine in for two on Saturday. Marks & Spencer really do get it right every time. We had pork with potato wedges and vegetables, a bottle of red, and profiteroles for dessert. Dine in for two is perfect if you don't want to spend a lot of money, but want kind of a special night in anyway. 02. I really want to up my blogging game on Flourish & Blotting and publish 5 posts a week. Ambitious, huh? I think I am averaging at about 4 posts a week. I want one specific beauty one though. Watch this space I guess. 03. I have been wearing my Pandora necklace. I love how elegant and sophisticated it is, and it brightens up all my outfits and makes them a bit more Spring-ish. 04. I am really loving my new theBalm Voyage 2 palette, it is so pigmented and ideal for travelling, as it covers all bases from eyes, to lips, to cheeks. It is one of those palettes that I can see myself wearing all the colours and not just a select few. 05. 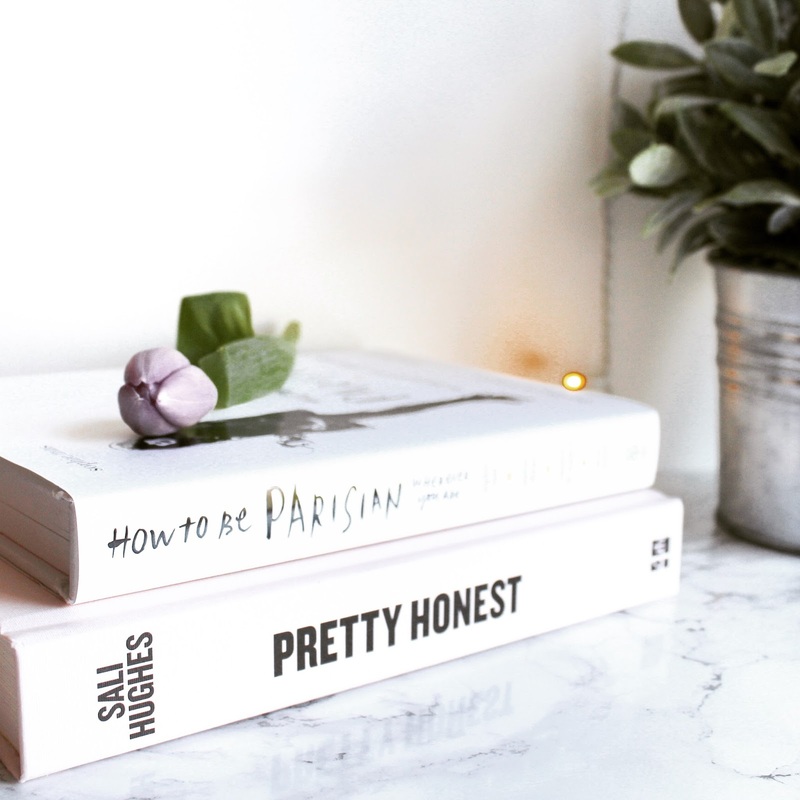 This week I have been reading my beauty books. I love having a quick flick through them before bed. They are great for inspiration, and some really light reading. 06. I have been listening to not much again. I am thinking of getting a few audio books and maybe listening to them as I blog, or do the housework, but where do I start? 07. I have been watching Jane the Virgin on Netflix as a sort of, Kimmy Schmidt alternative. The jury is still out. I will let you know next week. 08. I really want some new lip colours, but each one I swatch I think I already have something similar. And I am not one to spend money on things I don't really need... Lies. 09. I am planning my new hairstyle. I keep yo-yoing from auburn to maybe a lighter, cooler brown. Then I think maybe I would like a bob cut, something that doesn't take forever and day to blow dry in the morning. Decisions, decisions. 10. I've been feeling a bit more positive this week as I have some exciting things booked. Plus it's my birthday soon!